Verlasso has been a leader in sustainable practices for nearly a decade. We work closely with our local communities to reduce environmental impact with proven innovative sustainable farming techniques. Verlasso is pioneering new traditions in harmonious aquaculture and is a truly trusted source for sustainable quality salmon. Located deep in the southern hemisphere, Chilean Patagonia offers the perfect environment for sustainable aquaculture. Featuring vast stretches of clean, cold, crystal clear water and strong ocean currents, the region is the perfect natural habitat for raising the finest farmed salmon. We go to great lengths to carefully choose each farm site, ensuring that our salmon is raised in only the cleanest waters. At 42° south, far from cities, villages and industrial pollutants, we found ideal growing conditions that yield the freshest and healthiest salmon. Verlasso farmed salmon are among the purest found anywhere, its PCB content is ranked among the lowest worldwide of any farmed salmon. As a leader in sustainable farming practices, Verlasso consistently meets growing demand while raising the highest quality farm-raised salmon. Our commitment to leadership extends beyond sustainable farming to include consistent harvesting, processing, and delivery, making Verlasso one of the only producers that reliably delivers at scale. Verlasso is proud to collaborate with the Monterey Bay Aquarium Seafood Watch® program to support healthy and abundant oceans, it was the first ocean-raised Atlantic salmon rated yellow Good Alternative by the Monterey Bay Aquarium Seafood Watch® program. Verlasso supports continuous improvement in Chilean Patagonia to help preserve local economies and the well-being of the Chilean people. We take every measure to maintain a healthy ocean environment and we are deeply focused on positive beneficial relationships with the communities we serve. By including an algae rich in Omega-3’s in our salmon’s diet, along with an inclusion of fish trimmings sourced from non-salmon fish processing, Verlasso now has a “fish in, fish out” ratio of lower than 1:1. Our Salmon’s diet is an environmentally sustainable proprietary blend containing no whole wild caught feeder fish. The Verlasso diet consists of non-salmon fish trimmings sourced from fish caught from certified sustainable fisheries, natural algae, vitamins and oils rich in Omega-3 to ensure the consistent flavor and color for which Verlasso is renowned. We never use hormones to grow our fish and always harvest at a smaller size to ensure the health of the population. 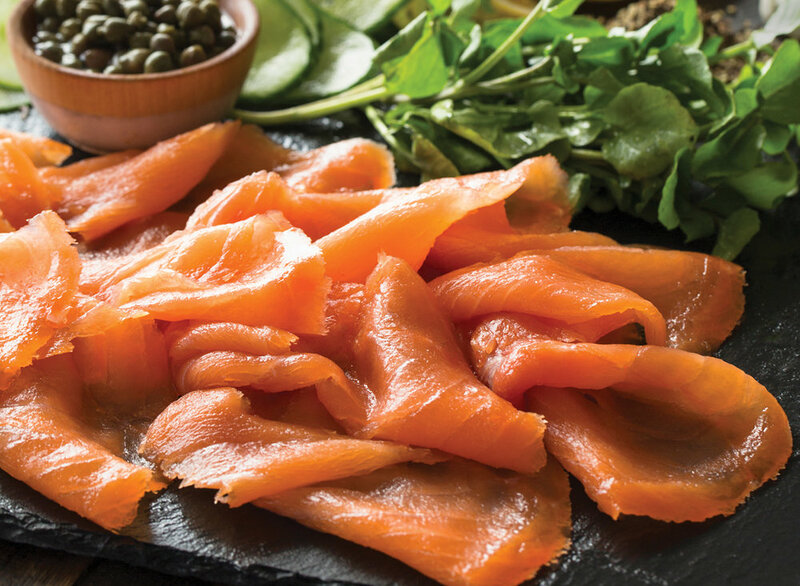 No preventative antibiotics are ever used and our salmon has no antibiotics at harvest. Our nets and enclosures contain no copper anti-foulants and we never use organophosphates on our farms, ensuring the least amount of disruption to the environment. Verlasso salmon has a buttery mouth feel, firm texture and mild flavor that complements any method of cooking or preparation. Our salmon is lower in fat than conventional farmed salmon and offers a brighter taste with no residual fishy flavor on the palate or aroma in the kitchen. Clean, fresh and firm, Verlasso salmon makes every dish a masterpiece. Does Verlasso salmon taste the same as wild caught salmon? Verlasso salmon has a firm texture and a rich fat content that falls between traditionally farmed and wild caught salmon. It’s a lean, moist fish that is ideal for cooking and enjoying sashimi-style. Are farmed fish as nutritious as wild fish? Do they have the same amount of omegas? Yes. Farmed fish have the same Omega-3’s as wild when properly raised. We use a natural algae in the salmon’s diet to ensure they have proper nutrition. The result is a farmed fish with the same Omega-3’s and healthy fats as a wild caught fish. Does Verlasso use any antibiotics or other chemicals? No preventative antibiotics are ever used and our salmon are not treated with antibiotics at harvest. For more Frequently Asked Questions click here.